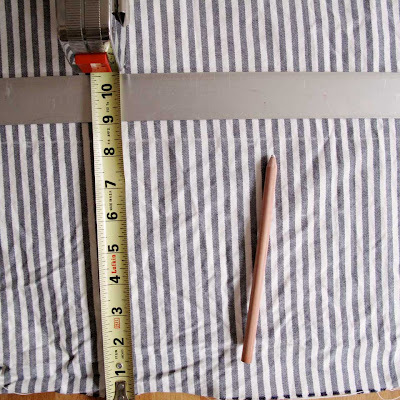 Measure and cut a piece of fabric 8 1/2-inches wide and as long as your window plus about an inch for seam allowance. Once you have cut out the fabric, press it with a hot iron. 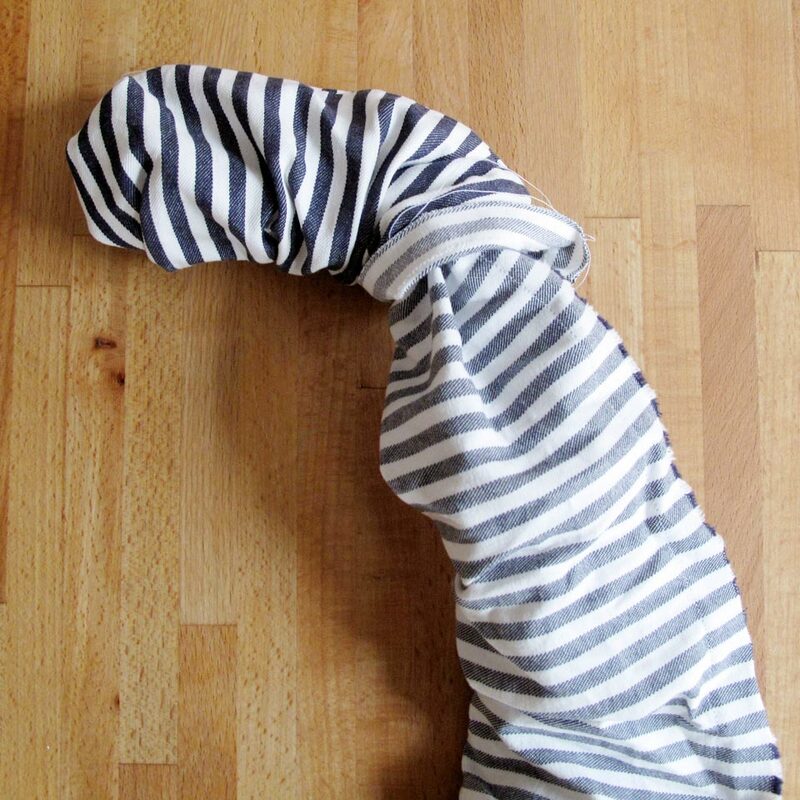 Then fold the piece of fabric in half lengthwise with the wrong side of the fabric facing out. Pin the folded fabric. 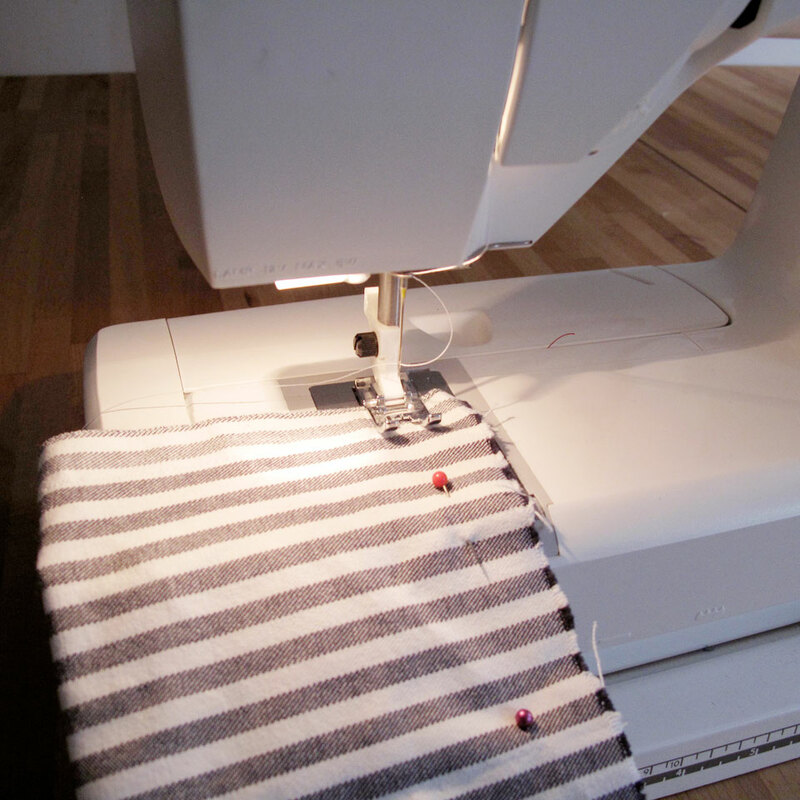 Sew the two sides of the fabric together with about 1/2-inch allowance on your sewing machine. 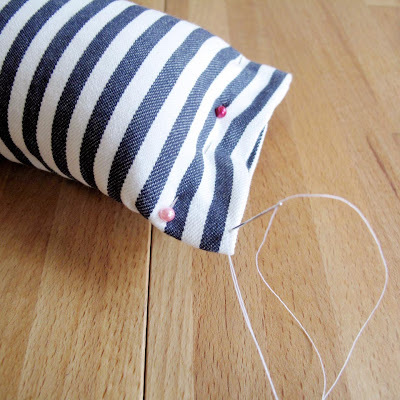 Back-stitch at both ends to reinforce the seam. 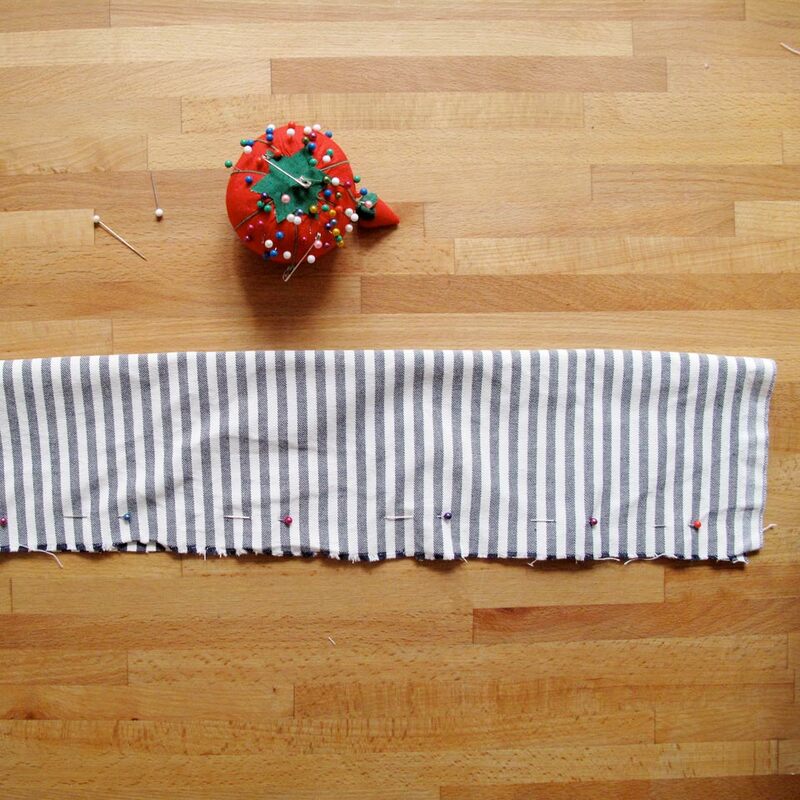 Once you've sewed the long side of the fabric, flip the tube around to sew one end of the tube shut; back-stitch both ends. Turn the tube right side out. 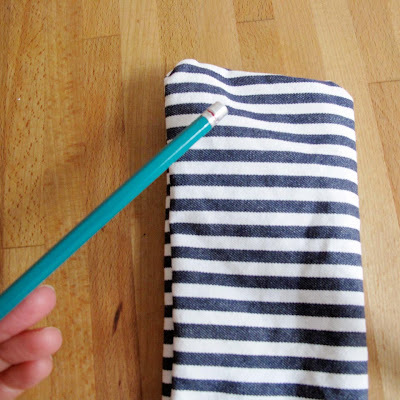 Use either the non-graphite end of a pencil, a chopstick or other thin, pointy object to poke out the corners. Insert the object into the tube and push into both corners for sharp right-hand angles. 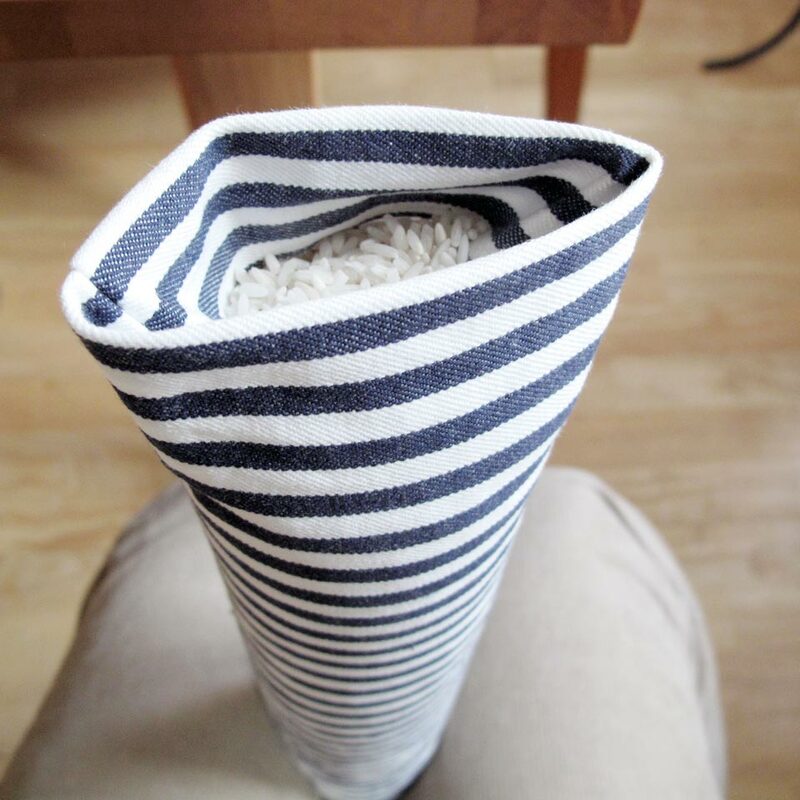 Maneuver the tube so that you can fill it with rice. (I sort of held the tube with my knees and used my hands to hold the tube with tilting the rice bag.) 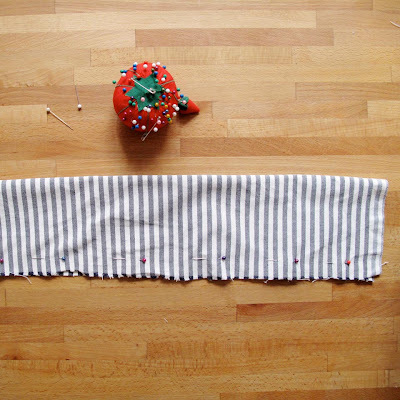 Once full, fold the end of the fabric in on itself about 1/2 to 1-inch. Use a couple of straight pins to secure the tube shut. Then hand-stitch the draft stopper closed. 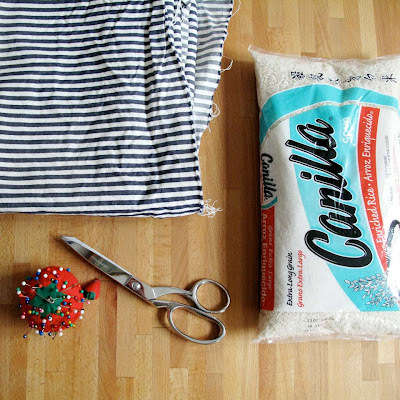 Great idea but i really want to do this proyect, but one question: something i can replace the rice with... i don't like the idea of wasting food. Sand would require an inner liner to the tube. Otherwise it will definitely leak out into your floor or sills. I'm about to make some using bean bag beans as a filler. THANK YOU SOOOO MUCH FOR THIS..I JUST MOVED INTO A TOWN HOUSE AND THERE ARE DEF. DRAFTS,IVE BEEN WANTING TO MAKE THIS FOR MY DOORS,NOW ILL MAKE THEM FOR WINDOWS TOO..I LIKE THE BEAN BAG IDEA FOR FILLERS,I WANT THEM TO BE HEAVY FOR THE DOORS,I HAVE MATERIAL,IM ASSUMING YOU GET BEAN BAG BEANS AT CRAFT STORES..THANKS AGAIN..LOVE THE PICS.. I think rice would be a more eco-friendly choice than styrofoam beans. True, rice can be eaten, but is it really wasting it to use it this way? Really great post and nice to read this blog. I was asked to make some of these. I am going to use no clumping cat litter. I don't know what to change for them . 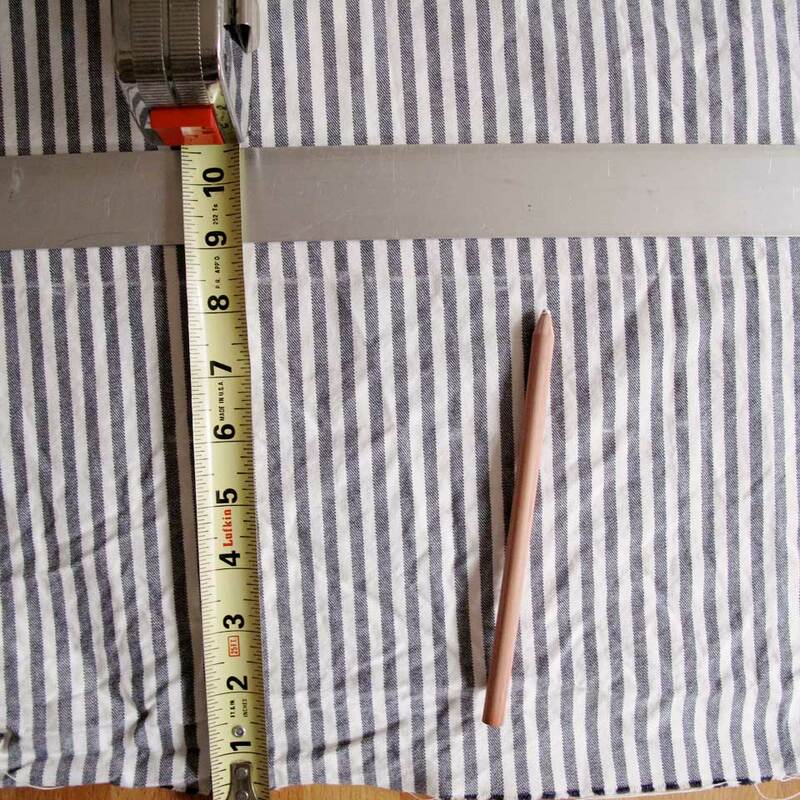 They want them 40 inches long 2 inches round. Also some bigger ones . Not sure of the size yet.I think they want double that 40 inch one. TO: JBMO15 & Laura Fenton & Cyndi : If you follow this tutorial, you will have a fantastic draft stopper. 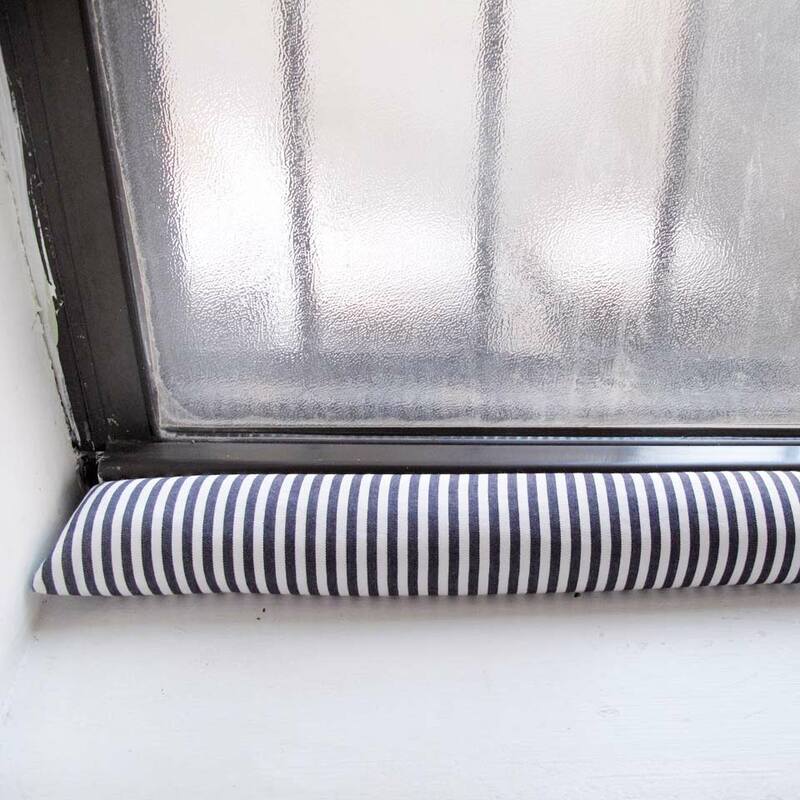 If you use any fine filler like sand or cat litter, you will need to use an inner tube with a very close weave so the dust from your filler won't slowly seep through. Also, a draft stopper needs to be a bit larger so it is a little higher onto the door to catch all the draft. Rice is considered to be a very efficient insulator as well. The draft stoppers helps to avoid the external entries through the under door.The steps mentioned in this page helps to do it our self. Thanks for sharing these informations to the readers. I am using cat litter made from recycled newspapers into pellets. It's unscented and pellets so not duty like sand or regular litter. "Fresh News" or something like that. Also add a fabric or grosgrain ribbon loop at one end to allow for easy hanging/storage when no in use or in shop if selling. I used this tutorial today and it was so easy to follow! Thanks! 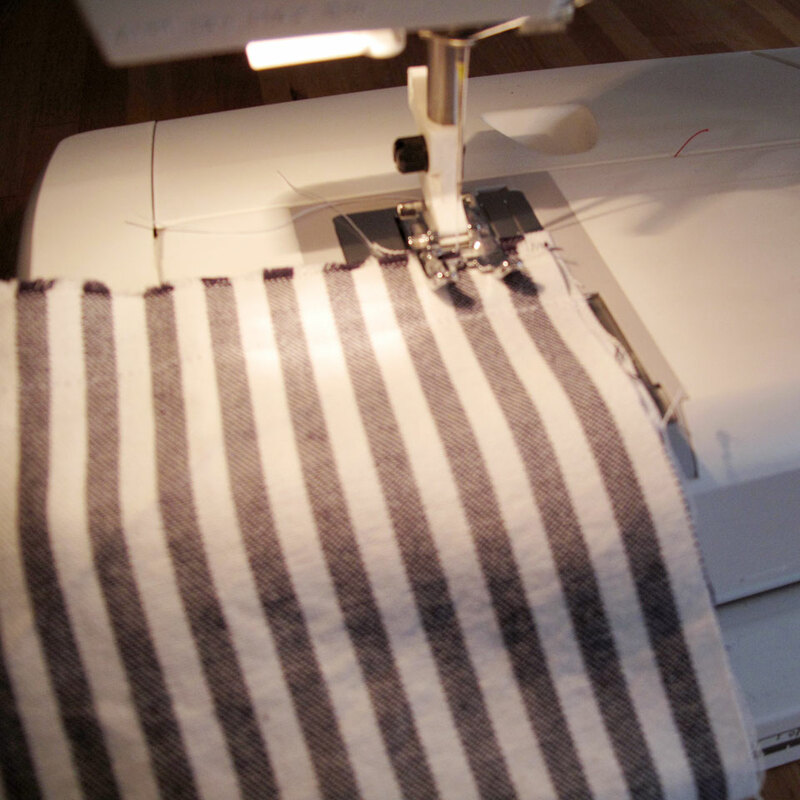 Easier, but not pretty, is a tube sock, rice, and a rubber band. (You can also heat them in the microwave for a heating pad). Great idea. I'm curious about the window in your picture. It looks like you have some frosted cover on it to help insulation. Is that the case? Did you paint the Windows black? Wondering how to paint aluminum Windows and these are the only ones I've seen. My, what a difference the black makes! John, I did not, but the black aluminum is pretty common in NYC apartment buildings. I think you could paint existing frames with the proper supplies, I'd use a spray primer and paint from either Krylon or Rust-oleum. I made some draft dodgers using cherry pits that I purchased online. 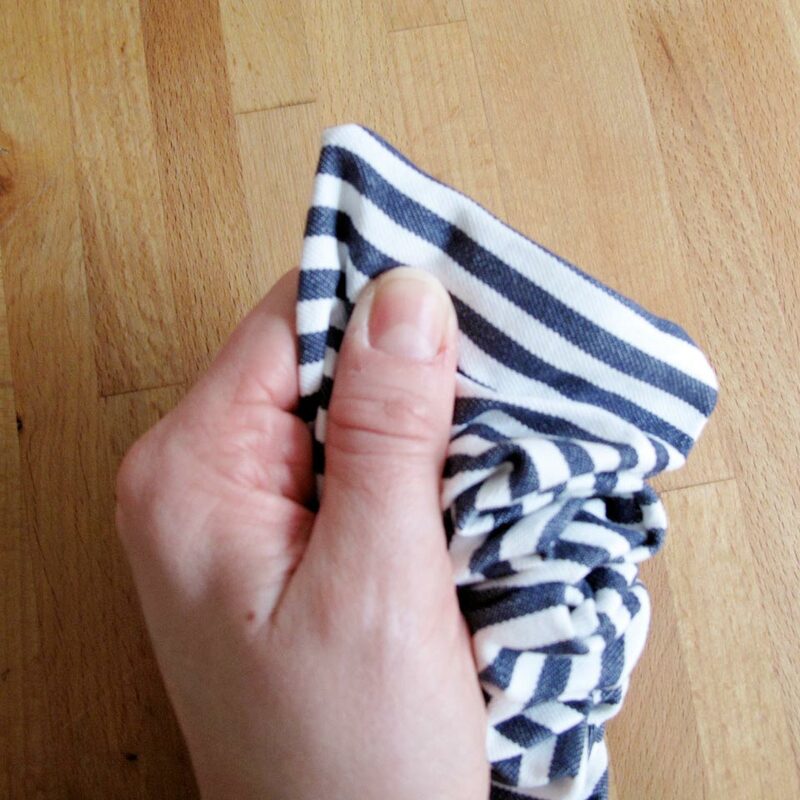 The dodgers can be washed and then dried in the dryer without affecting the pits. 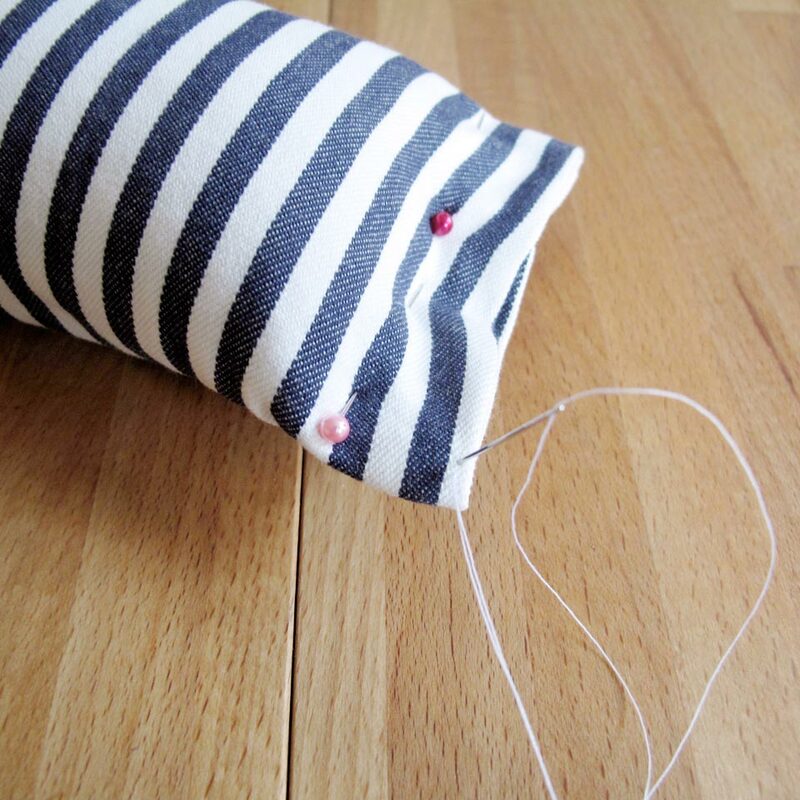 Smaller versions can be made and used as heating pads (put in microwave). I used wood stove pellet for the ones that I made. There is also a cat litter that is similar. I need help and brainstorming! 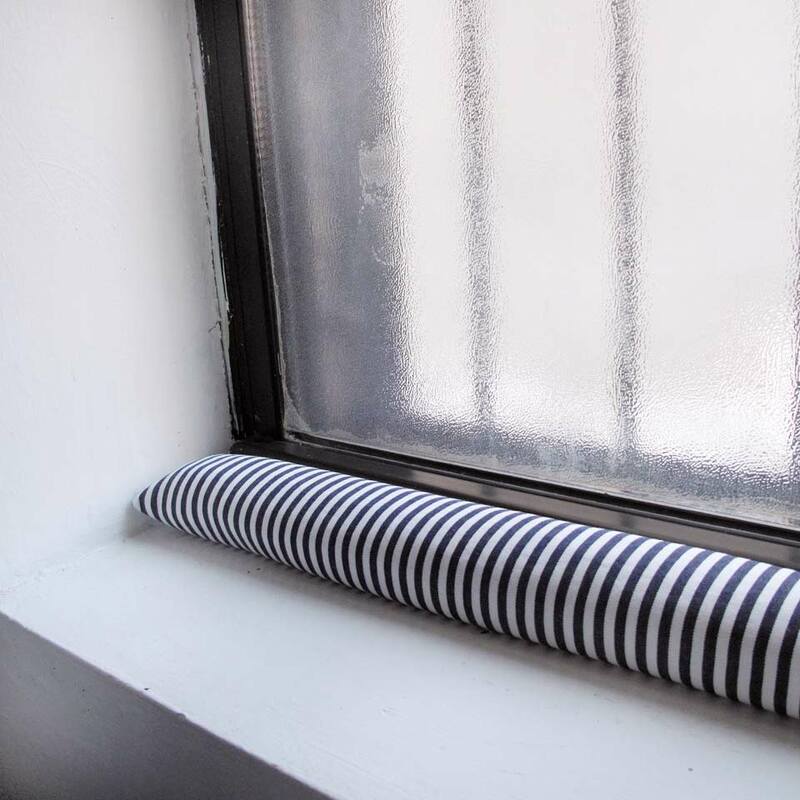 I NEED to make some door/window snakes and now have a great pattern (thanks!) BUT I cannot use rice because the orientation of the doors in question allow water to seep and be blown under the doors if we have any wind whatsoever. (Wet rice is not my idea of a good time.) My biggest concern is that they might retain water or even mildew (as they probably would not have an opportunity to dry well until summer). Also, with two large dogs and two small children, and all family members having very...messy...hobbies (car repair, four-wheeling, gardening, etc.) anything that touches my floor MUST be machine washable. Rot resistant would also be a huge bonus. I'm leaning toward cherry pits or ground walnut shells. Suggestions? To fill a little easier, use a paper towel tube! Fish tank pebbles work well. They don't rot or absorb the water. If the pebbles ever need a cleaning, just submerge in bleach-water.